FFXIV: A Realm Reborn / What is the NEWS for you since you start play FF14 ? FFXIV: A Realm Reborn / All WHM please check this out. I have been play WHM since ff14 start for the 1st day. I didn't do any research about rotation at all until now. I just use my pure feeling and to be honest I never know that WHM should have Rotation. I will appreciate that a lot. Last night we went to Turn 1 for 1st time. It was so fun after we wiped lotttssssssss just only gate keeper but just " Wow" everyone not take it serious at all. We can still Laugh and poked each other. Not even stress and scream to each other either. That 's REALLY COOL and Relax. Kari and Tale didn't on RC with us last night but they will. for Crisis , Sara and Azura they are all my real life friend and house mate so nothing to talk about. I've been crafting a fair bit in FFXIV (got lvl 50 GSM, 26 BSM, 18 WVR, 15 ARM), and I thought I'd share some things I've learned with people who might be new to crafting. 1) You can pretty much get to about lvl 15 in any craft with the shards they give you from starter quests, and it's a pretty good idea to get a few different classes to lvl 15 as you will receive a cross class ability. The best ones imo are "Careful Synthesis" (WVR), "Waste Not" (LTW), Tricks of the Trade (ALC) and "Hasty Touch" (CUL). Of course basically all of them will give you an advantage, but Careful Synthesis is a staple, and is one of the best level 15 abilities. 2) As I said it's a good idea to get multiple classes to 15 and the quests for lvls 1, 5, and 10 give you shards, so when you find yourself running low on shards, they make a great source for easy shards. 3) When you first start, I recommend talking to the guild supplier, opening up your crafting log, and buying everything you need for the first set of recipes. Then just go to town making 1 of each item. Any time you get a new list you should prioritize checking off each item because you get a nice bonus for the first one you make. Edit Check out http://craftingasaservice.com for assistance in finding exactly what materials you need and where to get them (credit to /u/Tickthokk). Besides that I've found http://ffxiv.gamerescape.com to be a useful site as well. 3) When there is a new ingot (or other material that will be used frequently in future recipes like cloths if you're a WVR and leather if you're a LTW), you should pound out as many of those ingots/materials as you can stand. Better yet, figure out how many will need in all the future recipes and make that many (plus a couple extra perhaps). 4) Anytime you can do your class quest, do it. 5) Save levequests for when you've already made all the ingots (or w/e materials) you'll be needing, you've already made 1 of everything that you can, and you're still haven't gotten a new recipe list (or if those recipes are a bit too hard to complete yet). I find that you really don't need to use leves prior to 20 and you shouldn't if you can help it, but 1 or 2 to get you over some humps is fine. 6) When picking leve quests, you want to probably aim for leves a little below your level. You want to turn in HQ items as you get a 200% bonus on exp and gold, so pick leves that you know you can HQ. Your options will typically be either a single item or a set of 3, and you will either be turning it into someone who's nearby in the same town or you will have to go to an outpost to turn in your items. Personally I prefer to ignore the ones that make go to an outpost because it's time consuming, but I'll take it if I need to go there anyway or if the item required is really easy to make or something. You might even consider buying a HQ version of the item in the market if the price is right. I did this a couple times and the gold reward basically paid for it; it's a very good idea if the market price is low and you are having a hard time getting HQs. 7) Always try to get the quality up as high as possible because you get bonus exp for doing so even if the item itself doesn't turn out HQ. In order to get the maximum quality on an item and therefore get the most exp and the most HQs you can, you have to do a little math and thinking. Your skill cycle depends on how many progress increasing steps it takes and what the condition of the material is which fluctuates between Poor, Normal, Good, & Excellent. The only time you get "Poor" is immediately following an "Excellent" condition. Otherwise you will always have Normal or Good. Condition starts on Normal and will either change to Good, Excellent or remain on Normal in the subsequent step(s). Condition will never be Good or Excellent twice in a row. Condition will always go back to Normal after any of the other 3 conditions. 9a) As I said which skill to use mostly depends on how many progress increasing steps it will take to complete the item. If it will only take 1 step, obviously you will use the Basic Synthesis (or Careful Synthesis if possible. I can't over-emphasis how good 100% success rates are) last. Since the first condition is always Normal use something like Inner Quiet first and hope for Good or Excellent condition on the next turn. If you have the CP for it you might even use something else like Steady Hand after Inner Quiet if you didn't get Good condition. The goal as always will be to use up as much CP as possible using those quality increasing abilities. 9b) If it takes 2 steps to complete, use the first step to increase progress. This gives you a chance to get Good condition on the second step, and if you don't get it then, you can use other abilities that don't reduce durability to see if you'll get a more favorable condition. Then use the 2nd progress increaser on the last 10 durability (it's a little risky if you're using Basic Synth because there's a 10% chance of failure, but hey I already told you. GET CAREFUL SYNTHESIS!). 9c) If it takes you 3 or more steps to complete, then use those progress increasers whenever the quality is Normal. If it's a 40 durability item you will probably want to save enough CP for Master's Mend or Manipulation, and you won't have as much to spare for things like Inner Quiet and Steady Hand. If it's a 70 durability item you might still want to use Master's Mend or Manipulation in the lower levels, but once you get Great Strides this is less true. 10) Great Strides lasts for 3 turns or until you successfully use a touch ability. This means it's best to cast Great Strides on a Normal condition, and use progress increasers or other buffs until you get good condition or the countdown reaches 1. It's important to note that if you attempt a touch ability and fail, you still have the buff (provided 3 steps have not elapsed of course). 11) It's not worth using HQ materials most of the time unless you really need the result to be HQ. If your level greatly exceeds the level of the recipe using HQ mats doesn't really matter at all as you can likely get a HQ without them, and if your level is below the recipe's level, you're likely to not even get a HQ even if you do use HQ materials. Anyway, that's all I can think of right now. If you have other tips you'd like to share or questions post away. Is that " Lame me " before he use Fantasia to changing his race ? The leveling process in Final Fantasy XIV: A Realm Reborn is definitely an enjoyable one, assuming you arenâ€™t FATE farming the entire time. However, like most successful MMOâ€™s, reaching the max level is simply an appetizer for the meaty entree that is end game. This guide serves as a means of providing you with paths as you obtain level 50, finish your story/class quests and reach the max Grand Company rank for 2.0 â€“ enjoy! Purchase your Grand Company weapon â€“ Once you are max rank(as of 2.0) with your Grand Company, you will be able to purchase a level 50 weapon(ilvl 55). This is a good idea to start off with as you hit 50. Pick up your Relic weapon quest â€“ Head to Vesper Bay, west of Horizon and find Nedrick Ironheart. He will have a quest called â€œWeaponsmith of Legend.â€ Begin this quest and continue as youâ€™re able to. This is a long quest chain, but will ultimately yield a reward of your Relic weapon(ilvl 80), which can later be upgraded to +1(ilvl 90). Farm Amdapor Keep for Tomestones of Mythology â€“ This is a level 50 dungeon that yields 40x Allagan Tomestones of Mythology. This is a currency that is used to purchase item level 90 gear from an NPC named Auriana in Mor Dhona. You are limited to earning 300x Tomestones of Mythology per week (resets on Mondays); so once you reach the cap, move on to the next step. Finding a Tank that is capable of doing speed runs is the way to go. You will need 900 of these to upgrade your Relic weapon to +1. Farm Amdapor Keep for Tomestones of Philosophy â€“ This dungeon also yields 80x Allagan Tomestones of Philosophy. This currency is used to purchase Darklight armor(ilvl 70), also purchased from Auriana. There is no weekly cap for these, so you can farm them to your heartâ€™s desire. You will need 900 of these to complete the final quest of your Relic weapon. Defeat Hard Mode Primals â€“ As you progress your end game storyline, you will be asked to defeat Primals at a higher difficulty. These Primals drop weapons and are as follows, increasing in difficulty each boss: Ifrit(ilvl 60), then Garuda(ilvl 70), then Titan(ilvl 70). Once all Primals are defeated for each quest, you will unlock the Binding Coil of Bahamut. Enter the Binding Coil of Bahamut â€“ This is the first true end game raid. It is said to be extremely difficult as of 2.0 and you should not venture into this raid unless you are completely ilvl 70+. Please note, you cannot use the Duty Finder to queue for the raid at this time â€“ only established, experienced groups should attempt these encounters. Battle Classes â€“ When it comes to combat in FFXIV, there are definitely classes that compliment others via cross-class abilities. It would be wise to do some research in what compliments your main class and level up those classes accordingly to unlock that key ability. Gathering Classes â€“ Disciples of the Land are classes that involve going out into the world of Eorzea and gathering crafting materials from the wild. Whether youâ€™re using these materials to compliment one of your crafting classes or simply looking to make some money off the Market, gathering materials is always a good idea â€“ especially when trying to save up for player housing. Crafting Classes â€“ Disciples of the Hand are classes that involve crafting items using materials. This can get expensive if you are not farming the materials yourself, so keep that in mind. Crafting classes also yield the ability to meld materia onto certain items as you level the class up â€“ this is extremely important in end game. Okay, so youâ€™re 50. You enjoyed the hell out of the leveling process. The storyline was absolutely amazing and left you wanting more. However, you want a break from questing or doing dungeons for a little bit. Well, why not take some time to help others and build the community? 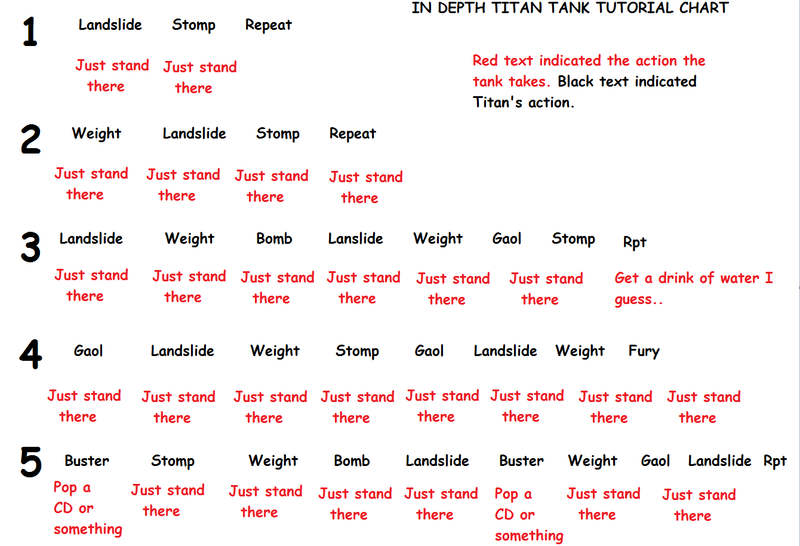 Write guides - As you can tell, this is one of my favorite things to do in an MMO. Once I feel comfortable with a topic and an opportunity presents itself, writing a guide or article on a topic is the best way to educate others and help people understand. Personally, it also helps me grasp the topic more as well. Help a lowbie â€“ FFXIV not only brings in non-legacy players, but also Final Fantasy fans who have simply never played an MMO before. Take the time to answer a question in /shout, help a lowbie with a quest or dungeon and simply be kind to people. The community is the most important part of an MMO â€“ never forget that. Do research â€“ This game has an immense amount of depth and there is always something you can know more about. Whether itâ€™s diving into advanced crafting or becoming more familiar with the abilities and rotation of another class, educating yourself with more knowledge about the game is always a wise choice. FFXIV: A Realm Reborn / Any idea how to bring our FC members to visit our Forum. FFXIV: A Realm Reborn / What is FC for you? As you guys knew our FC is quite big 200s members but for some reason I can see just about 15-20 active in the chat log. how s about other which online but never chat or communicate with other member. Tonight, 27/09/13 I will doing Titan HM Marathon until win this fight for Relic weapon quest. If anyone wanna join me feel free. I will start around 7 PM (+8 GMT) until win this fight. To be Honest I never fight with Mr.Titan before (coz afraid of him lol ) but it is a time !!!. I did my homework and I think it will be just fine ! anyway for person like to do this for your quest " Join me "
for people like to join me please post your role and your name here. It's my 5th days In this FC. Nice to meet you all.